With Star Wars: A New Hope celebrating its 40th anniversary today, its safe to assume that the extended universe sparked by the film is bigger than ever. 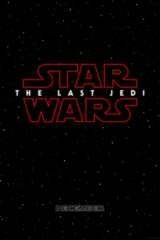 Following the recent success of Star Wars: The Force Awakens and Rogue One: A Star Wars Story, LucasFilm has several significant movies planned on their upcoming slate. And with previously unexplored corners of the Star Wars universe being explored in standalone films such as Rogue One, fans have created an infinite number of theories as to what standalone will be next. While Han Solo: A Star Wars Story is currently in production, and a Boba Fett film is still on the dock for 2020, fans have no idea what to expect next. According to LucasFilm president Kathleen Kennedy, the company is currently floating around a few different ideas - but plan to make a decision in the very near future. "We haven’t identified it yet, but yes [another spinoff is in development]." Kennedy explained to Vanity Fair. "We have a couple of things right now that we’re circling, and we’ll make a decision between the two pretty shortly. It’s probably for 2020, and we will make a decision by June." This is sure to excite the Star Wars fandom - especially those speculating as to which anthology film would be next. Popular suggestions have included solo films for Obi-Wan Kenobi and Ahsoka Tano, as well as films covering events such as the Sith Wars and the Birth of the Jedi. With both San Diego Comic-Con and Disney's D23 expo occurring in the coming months, there's a very good chance that fans won't have to wait long to find out what LucasFilm's decision is.